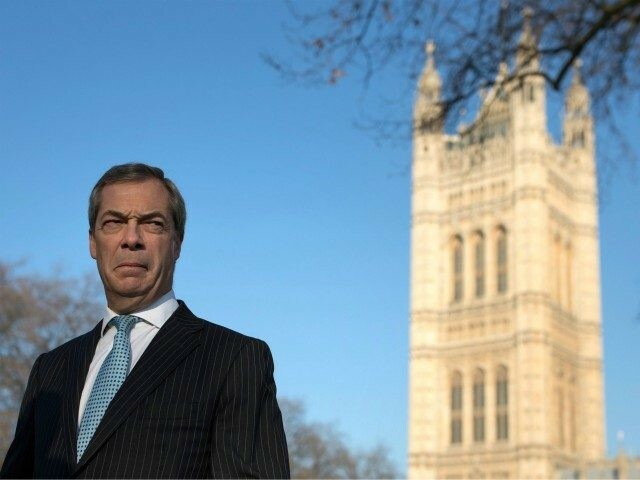 Nigel Farage has condemned Theresa May for her handling of Brexit, after the prime minister blamed Parliament for Brexit Day being cancelled because MPs refused to make a choice - the choice of accepting her "worst deal in history" Withdrawal Agreement. Holding another late-evening address of the nation, Mrs May reiterated that she has asked European Commission President Donald Tusk for a Brexit delay to June 30th, blaming MPs for the situation while demonstrating no reflection on whether Downing Street's handling of Brexit was, in any way, at fault. Mr Farage responded to the news that the UK would not be leaving the EU on March 29th - as pledged 108 times by Mrs May - saying it was an "appalling and pathetic performance from the Prime Minister. She rules out leaving with no deal. The Brexit betrayal is hers." Appalling and pathetic performance from the Prime Minister. She rules out leaving with no deal. The Brexit betrayal is hers. A Sky News poll reported that 90 per cent of respondents said that the UK's handling of Brexit negotiations is a "national humiliation" - with the broadcaster's pollster saying the strong opinion was held in all ages, education levels, party affiliation, and across the Leave/Remain divide. Any extension of Article 50 will be seen as a betrayal of our nation by millions of angry Conservative voters. The choice facing Theresa May is simple. If she holds firm and abides by the law of the land, Britain will leave the European Union at 11pm on 29 March. If she buckles, and a long extension ensues, I promise I will do my best to tear her party limb from limb. It deserves no better. For a run-down of May's speech and the day's Brexit events, read Breitbart London's coverage here. The Prime Minister is due to address the nation Wednesday evening at around 2015 GMT, in a statement to be delivered from Downing Street called after a turbulent day in British politics.